The technical meaning of computer maintenance involves operational and functional checks, servicing, repairing or replacing if necessary devices, equipment, machinery, and supporting utilities. Over time, this has come to often include both scheduled and preventive maintenance as cost-effective practices to keep computer equipment ready for operation at the utilisation stage of a system lifecycle. 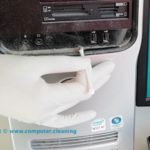 The following maintenance types covers; tests, measurements, adjustments, parts & components replacement, and cleaning, performed specifically to prevent computer faults from occurring. CBM is maintenance when needed. This maintenance is performed after one or more indicators show that computer equipment is going to fail or that hardware or software’s performance is deteriorating. This concept is applicable to mission-critical systems that incorporate active redundancy and fault reporting. It is also applicable to non-mission critical systems that lack redundancy and fault reporting. In computing corrective maintenance is a maintenance task performed to identify, isolate, and rectify a fault so that the failed equipment, machine, or hardware system can be restored to an operational condition within the tolerances or limits established for in-service operations. Corrective maintenance can be subdivided into “immediate corrective maintenance” (in which work starts immediately after a failure) and “deferred corrective maintenance” (in which work is delayed in conformance to a given set of maintenance rules). PPM is more commonly referred to as simply planned maintenance (PM) or scheduled maintenance, is any variety of scheduled maintenance to an object or item of equipment. 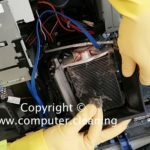 Specifically, planned maintenance is a scheduled service visit carried out by a competent and suitable agent, to ensure that an item of the computer equipment is operating correctly and to, therefore, avoid any unscheduled breakdown and downtime. PdM techniques are designed to help determine the condition of in-service computer equipment in order to predict when maintenance should be performed. This approach promises cost savings over routine or time-based preventive maintenance because tasks are performed only when warranted. 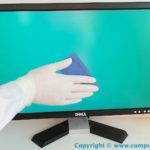 The care and servicing by personnel for the purpose of maintaining computer equipment in satisfactory operating condition by providing for systematic inspection, detection, and correction of incipient failures either before they occur or before they develop into major defects. Computer Preventive maintenance tends to follow planned guidelines from time-to-time to prevent equipment and machinery breakdown. TPM is a system of maintaining and improving the integrity of production and quality systems through the computers, machines, equipment, processes, and employees that add business value to an organisation. Simple maintenance and monitoring can often prevent a computer failure from turning into a computer disaster. 12. Check system security. (Examining folder permissions. Monitoring network temperature applications. Examining security features. Reading computer logs for security alerts or evidence of computer hacking attempts). You might still be wondering, what does Computer maintenance have to do with you? 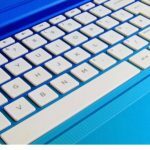 Regular computer maintenance is crucial to your business. If you are a small (or large) company, chances are high that you have multiple computers on your network. In order to keep your business’ computer network in optimal and reliable condition, you need to have regular computer updates, installation of patches, and diagnostics.